FLX FPV in is proud to present the first annual Empire Drone Expo at the stunning new Empire Exposition Center at the NYS Fairgrounds in Syracuse NY. 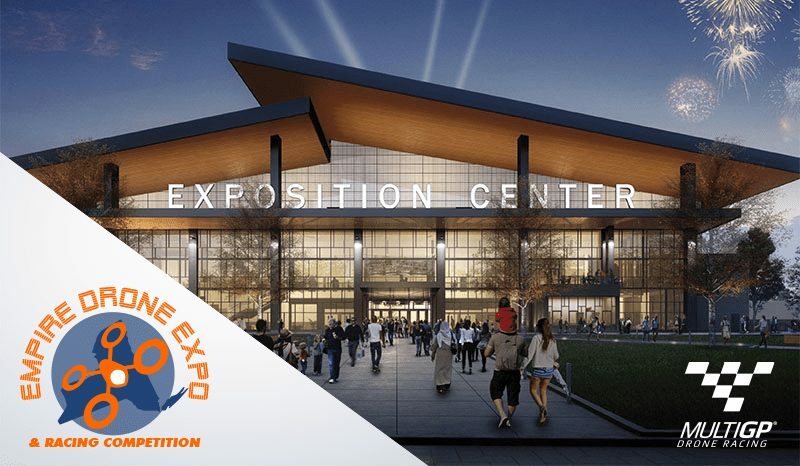 The brand new 136,000-square foot building with 110,000 square feet of clear-span space is the largest expo facility north of New York City between Boston and Cleveland and will be home to this exciting and unique 2 day event on November 17-18, 2018. Sponsored by NUAIR Alliance, DropCopter, HighPoint Aerial, SkyOp, Thales, Scherzi Systems, Foxeer, DalProp, DiatoneUSA, CNHL, Video Aerial Systems, International Drone Pilots Challenge Coin and more, the Empire Drone Expo is a event with something for everybody including various STEM activities, educational talks, Part 107 Training, vendors and displays, build areas, demos, NYS Drone Film Festival screening, Drone racing, Freestyle Drone Challenges and indoor fixed wing fun fly and more. There will be food vendors available on site as well as camper and RV hookups available on-site (no water due to current area climate) for those who wish to stay on the property. There are also a number of hotel accommodations nearby if necessary. The Freestyle Drone Challenge will include opportunities for registered pilots to show off their skills in freestyle by successfully completing any of a number of freestyle “challenges” set up in the flying area. Complete enough challenges and take home a stunning International Drone Pilot Challenge Coin. The Fixed Wing Fun Fly on Sunday will be open to any non-FPV equipped indoor-safe aircraft and requires either AMA certification, or operation under the supervision of an AMA registered pilot. Spectators and families are free to attend and will be able to witness the exciting sport of FPV drone racing up close, as well as participate in a number of hands on educational activities, presentations, simulators, build sessions, training and more.